All new for 2019, FanFest is an immersive experience for the entire family! 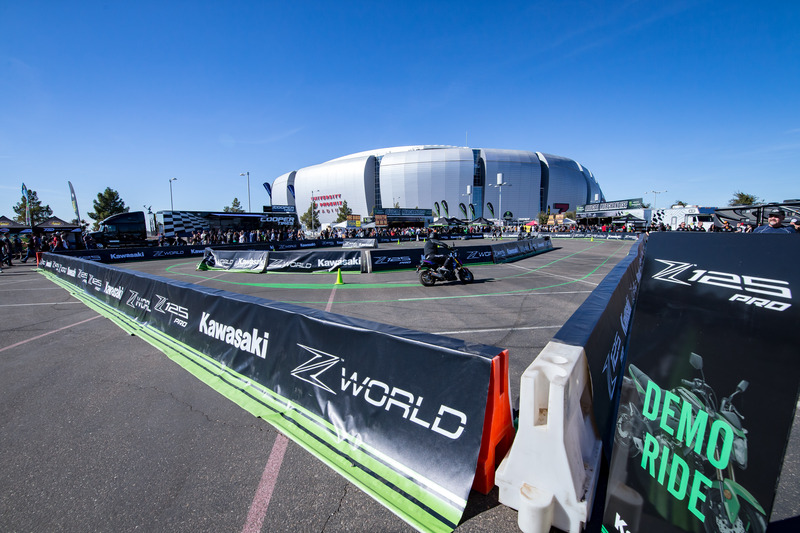 Get autographs from your favorite Monster Energy Supercross stars, grab a bite to eat and participate in a wide variety of activations spread throughout the venue. FanFest is the party before the action takes place on the track that will provide lasting memories from your trip to the races! Arrive early to the venue on race day to take advantage of all the fun and activities available at FanFest. FanFest will be open at all rounds of Monster Energy Supercross except for Detroit and Minneapolis in 2019. Not all activities listed are available at every FanFest. Check the ticket info pages for which activations are available in each city. 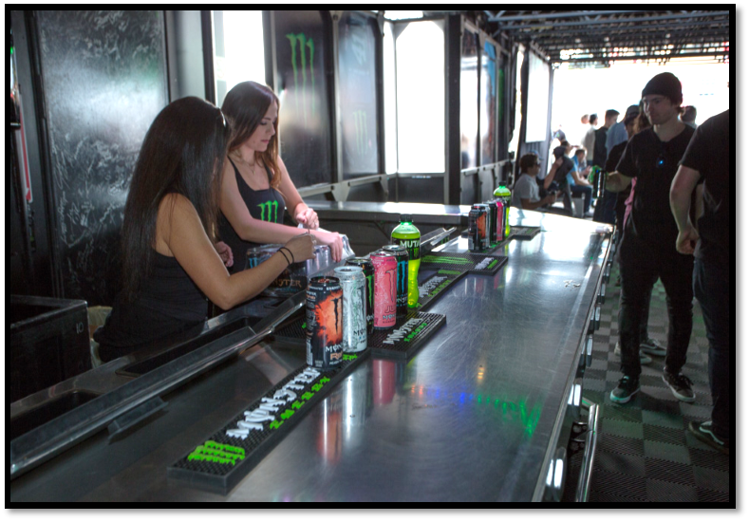 The Monster Energy Stage will provide sampling a variety of Monster Energy flavors and music to jam out to with friends. In 2019, Western Power Sports and Fly Racing will have a couple of different activations. The first will be a branded pump track. No age restrictions but parent must be on site to supervise and sign waiver. Kawasaki has a Z125 PRO consumer demo tour during the 2019 season. Get up close and personal with the 2019 Z line and experience the lightweight Z125 pro in a fun, closed environment. Product demos are free but are on a first come first serve basis. Consumers must be 18 years of age or older and must provide their valid drivers license with motorcycle endorsement. Consumers must be wearing closed toe shoes and long pants to participate. Kawasaki will provide a helmet, gloves and riding jacket. Honda Learn to Ride will be setup in 3 markets during the 2019 season. Honda will set up an actual dirt course and teach kids between the ages of 6-10 how to ride dirtbikes. They will bring Honda CRF 50’s and 70’s and all the appropriate riding gear. The kids will need to meet the height requirements and have a parent/ guardian on site to sign the waiver. 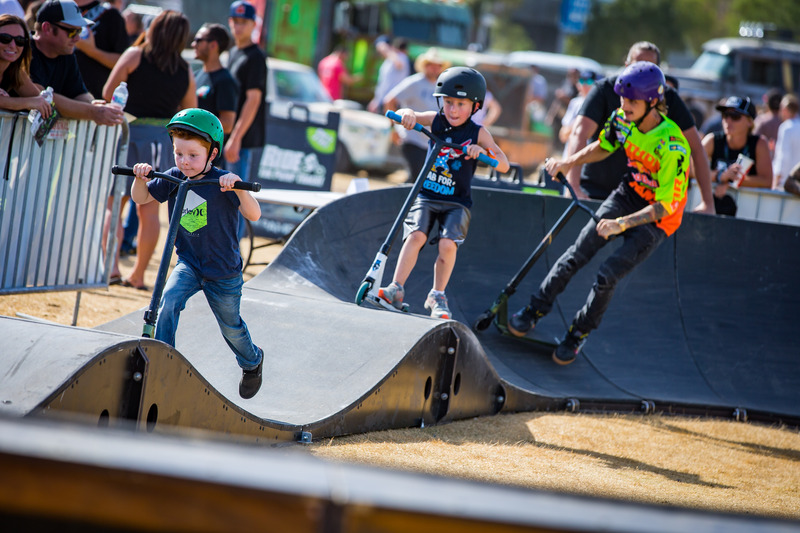 The Toyota BMX Triple Challenge takes place during the actual Fan Fest in three select markets. About 50 of the most elite BMX athletes will compete in this series and push the sport of BMX to a new level by performing tricks and bringing the competition to a new level. This event is free with a valid event ticket and a ticket to the Fan Fest.